We work with senior leaders to fulfil critical roles every day and in our conversations with them, have developed a good understanding of the challenges they face when acquiring talent and their frustrations with external recruitment agencies. Many of our clients come to us after several frustrating months working in-house to fulfil roles and failing. Worse still, some have managed to recruit but the candidate has quickly turned out to be a bad fit for the business and leaves within the first 6 months. In fact, some businesses estimate they are wasting as much as between £100,000 and £199,000 on bad hiring decisions at senior level. This makes a very valid argument for choosing a headhunter recruiter (also known as executive search) partner, who can demonstrate a thorough understanding of your business and the skills needed, and follows a thorough and proven process that delivers performance to your business or return on investment (ROI). As a senior Manager or HR professional, persuading senior decision makers to use expensive executive search services isn’t easy, nor is proving the ROI of your recruitment strategy, but at a cost of between 12% and 30% of salary, recruitment is a major cost to any business and should be treated like any other major investment. How does headhunting differ from standard recruitment? Before you can find the right headhunter recruiter partner, it is important to understand the difference between the headhunting or executive search process and standard recruitment practices. In simplistic terms, recruitment agencies can be broken into two distinct types. Retained and contingent. Retained search is carried out by high-end executive search firms who get a retainer (up-front fee) to perform a specific search. This is usually for a senior or critical business role. Contingent recruitment (sometimes called non-exclusive) means that the recruiter is competing on the role either with other agencies or indeed the client, should the client have advertised the role on a job board or their website. The recruiter will only get paid should they successfully fill the role. Executive Search professionals look for the best individual for the role and approach them directly, rather than waiting for them to approach the recruiter. It is very common for the most suitable individual to already have a role, so it's a case of finding them. As such executive search agents target the “grey area” of the market i.e. people who are not actively looking for jobs but when presented with an opportunity may move. This opens up a huge pool of candidates, particularly where the executive search firm specialises within your sector and has an established network, and is the reason that headhunting works and is more likely to deliver ROI. Executive search fees may be 15% - 20% higher than a contingent search process, but when you consider everything that executive search fees include - support with job description and positioning, advertising and promotion of the role, vetting and shortlisting candidates, initial interviews, continual communication with candidates to keep them engaged, expert advice and access to top professionals - the costs don’t seem quite so prohibitive. Usually the largest operating expense by far on the P&L (Profit and Loss Statement), most businesses understand that recruitment costs are unavoidable, whether that be advertising the role through an internal HR team, or using an external agency. The mistake that business leaders make is seeing recruitment as a cost rather than an investment. There are several important considerations for businesses in choosing a headhunter recruiter that can make the difference between achieving ROI and a failed recruitment strategy. 1. 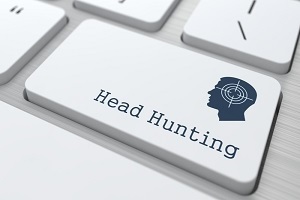 How quickly can the headhunter work to successfully fill the role? The cost of unfilled positions and delays in the recruitment process can be substantial when it gets to senior level, business critical roles. On average it takes 13 weeks to fill a senior role in-house, but only 11 weeks through an executive search agency. If an agency has expertise in your sector, they may already have a black book of contacts and be able to bring this down even further. Where your business is losing money because a role critical to business performance is left unfilled, time is of the essence. 2. How thorough is the service on offer? When recruiting for senior roles, decisions have to be made about the job spec, who to shortlist, who to interview and then who to offer. That process involves senior decision makers in the business and takes them away from their day jobs. When using an executive search firm, writing the job brief, shortlisting and initial vetting of candidates should be included in their fees and should save the business considerable time and money if done right. 3. Does the headhunter recruiter have access to the top performers in your industry? In-house and contingent recruiters are only accessing around 20% of qualified candidates, i.e. Those who are actively seeking a job. Executive search firms are able to improve the quality of hire by opening up the ROM (rest of market), leading to a productivity increase of 10 - 30%. The people they source are also usually from the same or a related industry and therefore able to ramp up quickly in the first 6 months to 1 year. When choosing a headhunting firm to work with, by choosing one who specialises in your industry, you are much more likely to see a ROI. 4. Does the headhunter recruiter take the time to understand your business and wider objectives? As well as understanding your industry and the requirements of the role you’re looking to fill, a good executive search firm will spend time getting to know the culture of your business and building relationships with stakeholders. Executive search companies build a rapport between the candidate and company right from the start of the process, helping reduce the likelihood of a candidate dropping out when you have invested a lot in the process, and also reducing the risk of making a bad hire. The REC estimates that a bad hire at middle-management level i.e. a salary of £42,000 could end up costing a business £132,015 in total to resolve. 5. What guarantees does your chosen headhunter recruiter offer? A good headhunting firm will have confidence that their process delivers results, and as such, will offer guarantees should the chosen candidate not work out for any reason within a certain time period after being hired. Most agencies will guarantee to replace the candidate free of charge if they leave (excluding redundancy) within 3 months. Some firms will even extend this to 6 months. This should give you peace of mind that your investment is safe. Finally, just like any other service you invest in, take some time to read client case studies and testimonials from both candidates and clients of your chosen headhunter recruiter. The best ones will offer these very early in your selection process and will make them very visible on their website. If promises are backed up by existing and past clients and candidates, then you should have faith that they will deliver for you too. If all of these things align, then you are very likely to encounter a successful recruitment process that delivers ROI to your business. Newman Stewart is a leading executive search firm, delivering high performing candidates to high profile and difficult to fulfil assignments. With a vast proven track record of success both nationally and internationally, we are the recruitment partner of choice to many blue chip, medium and small organisations. Contact us to discuss your needs.